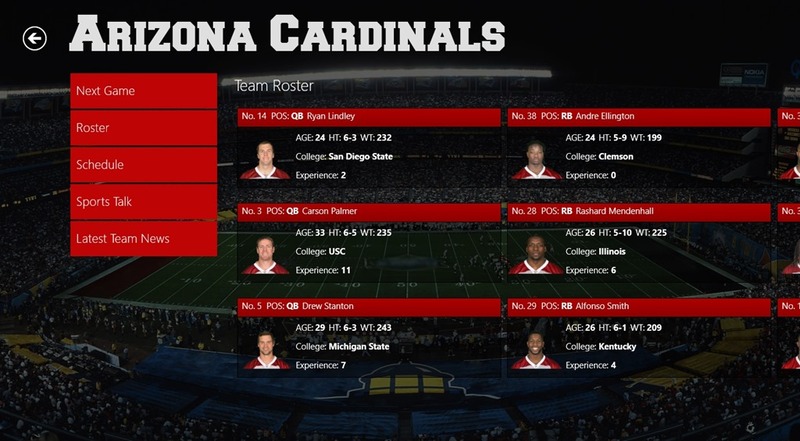 Football Pro+ is a free Windows 8 Football App. 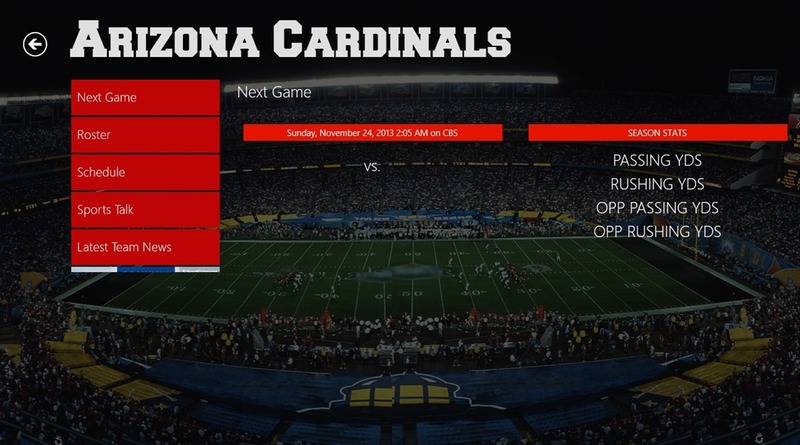 It is the ultimate football app for all football enthusiasts who are crazy about NFL. You can use it to get Latest News, Live Scores, Team info, and other important stuff from the football world. 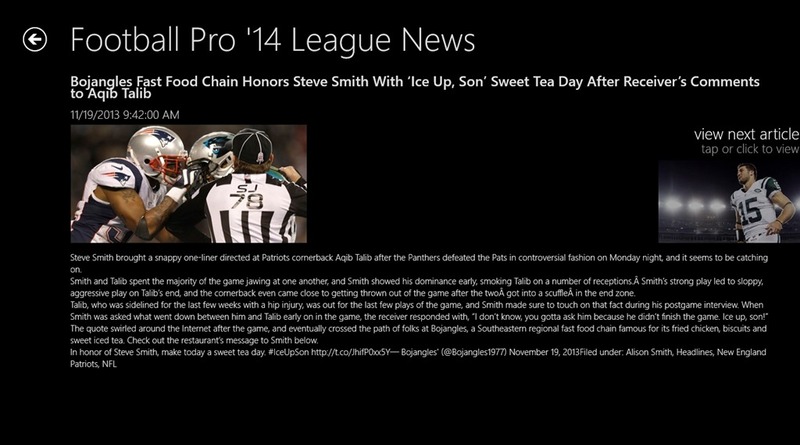 You even get the ability to share what you read about, using the Windows 8 Share Charm. Football Pro+ is freely available in the Sports category of the Windows Store. In this option of Football Pro+, you will be able to get live scores from the teams. Here, all the rival teams are grouped as pairs. You can get to any of the teams and can see its score. Good detailed description is provided here. You also have the option to view photos from a particular game, comment about the game, and do some other stuff. 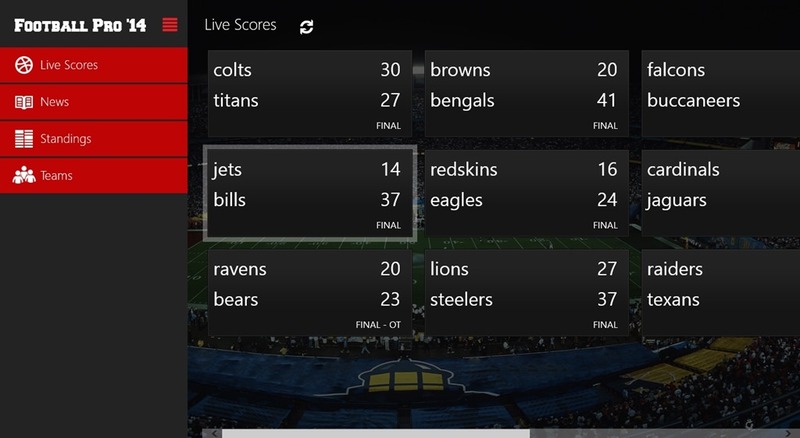 In this option of this Windows 8 Football app, you get the option to read the latest news about the various Football teams. 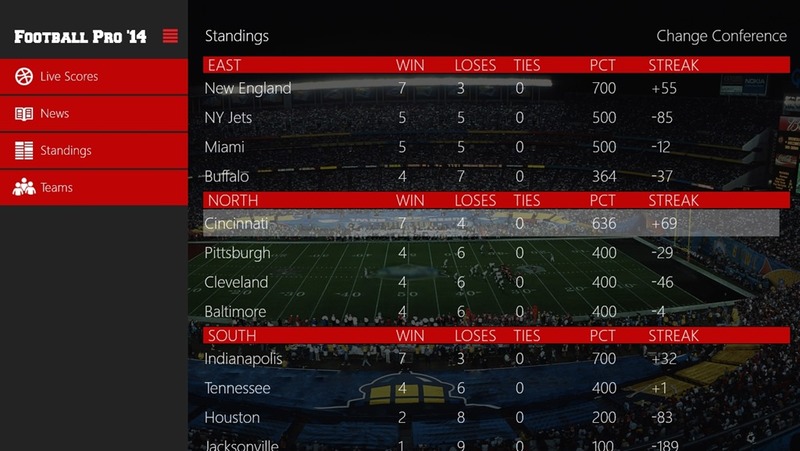 This option allows you to see where each team stands when it comes to statistics. From this option of Football Pro+, you can see the Wins, Loses, Draws, etc of any team. Here, you can see the standings according to three conferences, namely, American Conference, National Conference, and League Standings. In this option, you get the ability to see the team schedules, Rosters, Players info, and other things related to the teams. As you get to this option, all the teams will be shown to you. 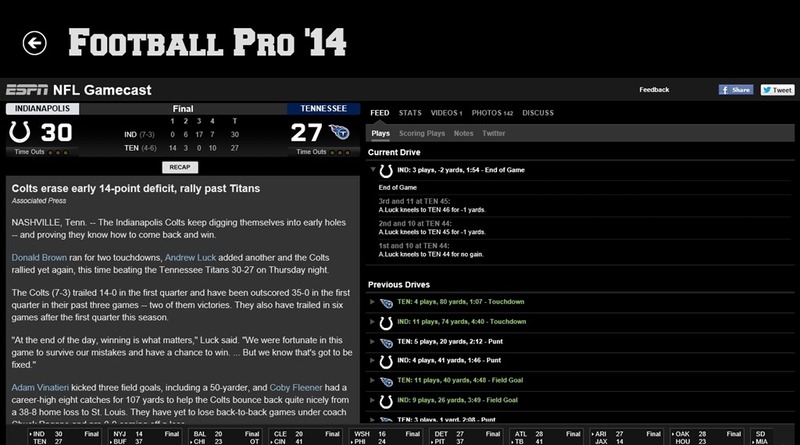 When you select any particular team, all the info for that team, will be displayed in front of you, categorized as Roster, Schedule, Latest Team News, Next Game,and Sports talk. Here you will be able to get and read the latest news from the team. You can click on any news appearing here, and this Windows 8 Football App will open it up in the Windows 8 IE App that is available on your start screen by default. In the roster option, you will be able to see the info about the team’s players. Along with that all, you can share what you read in the app, using the Windows 8 Search Charm. 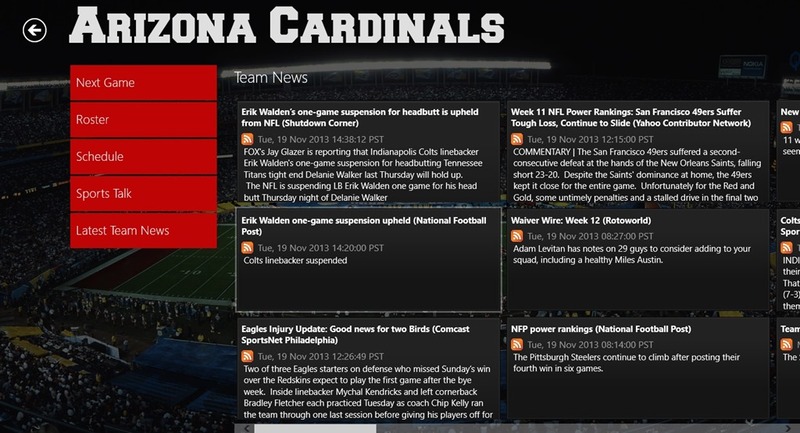 Get News about NFL teams using this app. It is freely available in the Windows Store. Working with this app is easy. You can share what you read using Windows 8 Share Charm. Football Pro+ is a good Windows 8 Football. The capabilities it provides are good, and that’s why I would recommend using it.